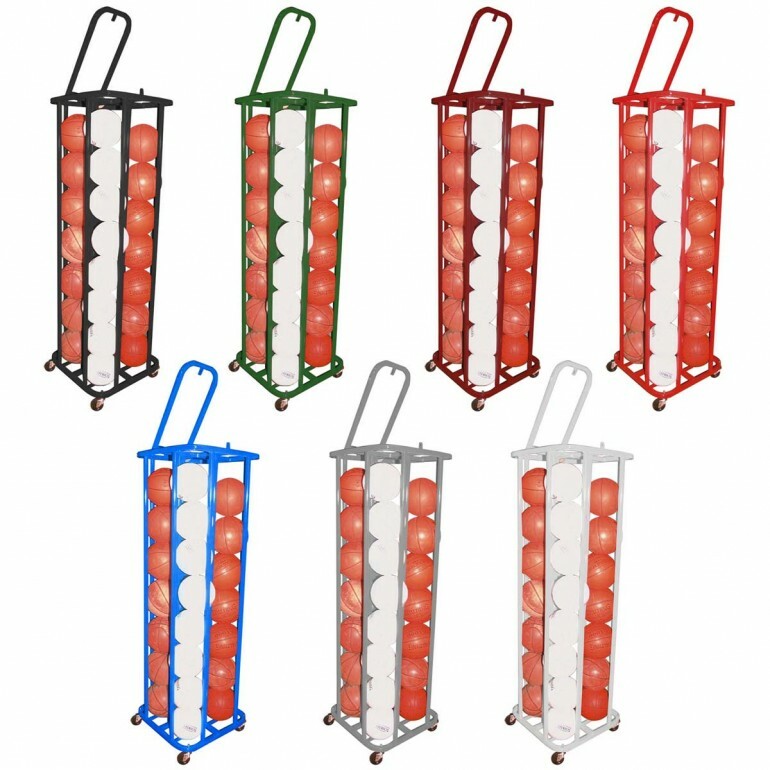 Store and transport all of your sports balls with ease in the Blazer 4827 Space Mizer lockable vertical ball cage. This space efficient ball cage stores and transports a multitude of balls using very little floor space. 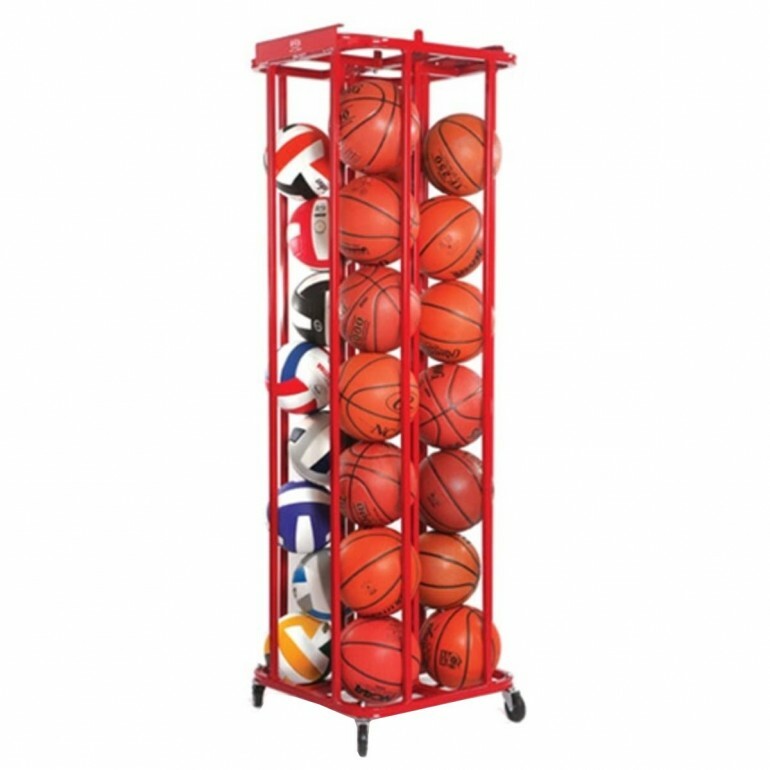 It has non-marking swivel casters to provide smooth rolling. 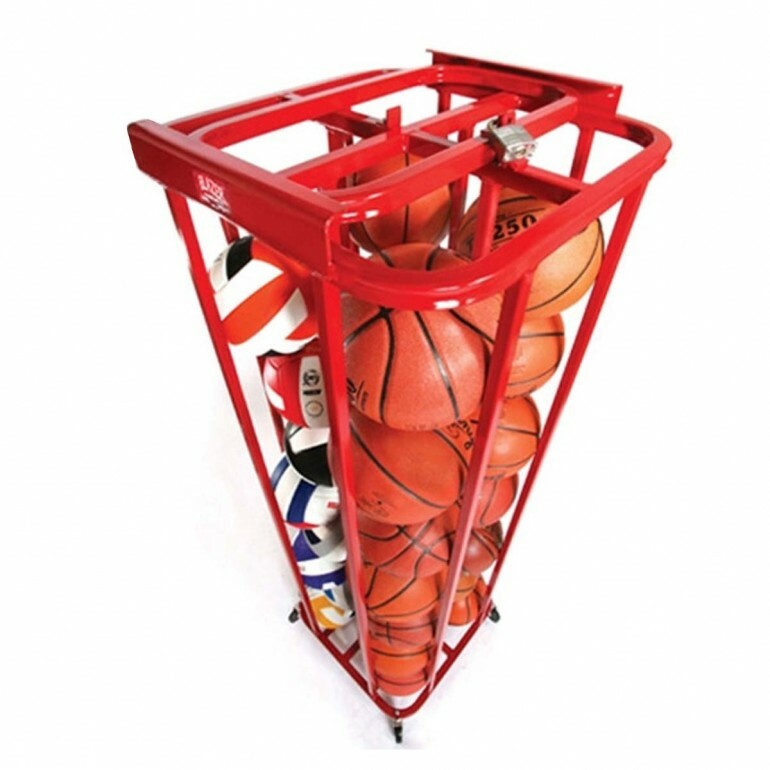 This tall ball cage is 70"H and safely stores 28 basketballs or 32 volleyballs, but can be used to store all kinds of balls such as medicine, soccer etc.